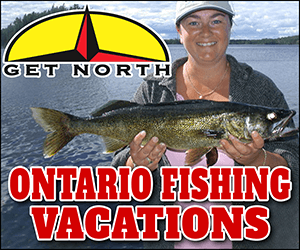 I will be visiting new family and friends in Cambridge, and will have the oppurtunity fishing Lake Ontario. Holy crap am i ever pumped to be fishing the big waters considering most of my fishing life, I have spent most my days on quiet, small back lakes! All of my fishing excursions are close to home trolling, jigging for a pickeral, or throwing a senkos for a small mouth bass! I am so totally out of my element seraching for a salmon and have no idea what to expect! Lake ontario, here I come! woo hooooo! Any tips for a newbie? It can get real rough real quick. Check the weather forecast and be vary careful if you are going out in a small boat. I've only ever reeled in one salmon, back when I lived in Toronto. My advice: do a lot of workouts - strength training, specifically - before your trip. The salmon was the most tiring fishing experience I've had to date. Mind you, I was fishing off the shore on a river - I forget where, my uncle took me since I was new to the city (literally there fore about a month). I don't even remember how big the thing was, but it seemed huge at the time. Still, it was fun. But tiring. Might be different/easier from a boat, I dunno. If you dont have the gear (down riggers, dispseys or lead core) hooking a big Lake O fish will be a pretty tough. Spoonpullers would be a good place to get some info in a hurry. Or, if your serious about catching one and have a couple friends interested - get a charter. 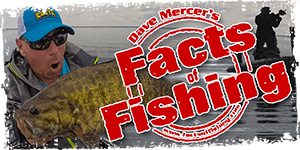 You catch fish (and an addiction) and have chance to learn lots. Definitely read the weather forecast and know what your boat can handle if you are going out in your own; like any of the great lakes, the conditions can change from calm to scary in the length of time it takes you to pull in your lines and turn for shore.